All about the good US labour report today, USD across the board. Euro second, gains on all crosses front , the event risk for the weekend are the SPD-CSU coalition talks to be finalised on Sunday. 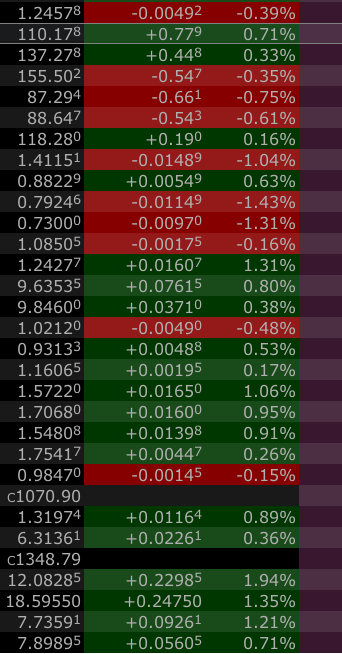 Commodity and oil currencies got drilled and are losing quite big over the past 2 sessions. CAD got a final stab as Trudeau threatens to leave NAFTA if US continues to play tough. didn’t enjoy much fun after that, hampered by declining stock markets. The USDJPY closes inside the resistance area. Boj will again be in the driver’s seat next week with their JGB actions. EURGBP , which recovered from yesterday’s losses back above 0.88 and yet again confirming that rock solid 0.8735-0.9050 range from September. In nearly 5 months time , we had exactly 2 outside hours of this range, one on the Brexit divorce bill agreement, the other one this week when EU left the door open to a better than standard trade deal for the UK. We’re still filtering noise on this pair.